A friend asked me this Passiflora. I have some seeds available in case others are also interested in this. It is a commercial variety with sweet pulp, I got it in the market. Good work and well organized thread Guilherme. Fruits collected on December 10, fresh seeds. 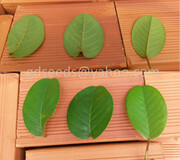 I will use some seeds to produce seedlings to myself and make some seeds available for sale. I believe most of the friends here haven't yet realized how delicious this fruit is. I'll record some videos and post here to try to show its features. 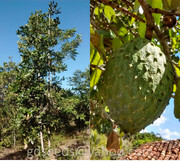 Species native from southern Brazil (latitude -30) but produces abundantly in Minas Gerais state (latitude -19), several bunches of fruits throughout the year. This is the best palm fruit I have ever eaten, sweet, very juicy, absolutely amazing. Sweet and viscous pulp, taste is a mix of jabuticaba with a touch of guava, no bitterness or acidity. Not so good pulp/seed ratio but taste is really good. Its lovely foliage looks like myrciarias, but in giant size. It will definitely go into my collection. 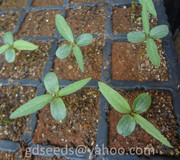 USD 2,5 each (minimum 10 seeds for a single package or 5 seeds for mix packages). Only 25 seeds available. It is slightly acid but not too much. Taste fragrant and a bit spicy too, makes the tip of the tongue slightly anesthetized. I planted seeds 30 days ago and some seeds are sprouting. I am creating an email list to inform friends when new species are offered. That way you will receive the information with convenience in your mail boxes and if you wish to unsubscribe, just return asking for removal from the list. If you want to receive the offers in your emails, send a message to the email of the pictures. Thanks. I spent a few days trying to find children to make this video. Luckily, yesterday I was coming home when I met this mother and children walking down the street where I live. I asked the mother if it would be possible to record a video with the kids and she happily agreed. As I expected, the kids loved it. I haven't had a chance to eat in-natura dates (Phoenix dactylifera fruits) yet, but I suspect that Butia eriospatha is perhaps the "not yet famous best palm fruit to eat in-natura in the world". Simply delicious, people can't stop eating after started. I have insisted on talking about this fruit because it is wonderfully good to eat. Vigorous plant, easy to grow. 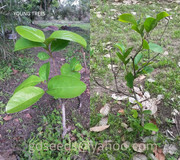 Seed/pulp ratio is not very good but the beauty of the plant easily pays for the investment. The taste is similar to the taste of coconut water. For greater chances of success in germination it is recommended to plant seeds as fresh as possible, so I ask those interested not to waste time. Slightly sweet pulp, soft taste. This species has very intense germination and will only be available for a few days. So if you want to get it, do not waste time. I planted some Genipa infundibuliformis for myself and got a lot of seeds sprouting here. Very easy germination. Yesterday I visited again the region where Jabuticaba Taquaril lives and happily met another younger individual. I noticed that the young branches are hairy and reddish. Seeds will be available around 20-february. Some fruits packed, weekly monitoring. Seeds will be available around 10-February. I got positive feedback from friends who got seeds with me, so if you have doubts, please leave a private message. I got fruits directly from the tree, not in the market, so very fresh. It taste like Annona crassiflora, sweet and slightly acidic (like an yogurt). Annona coriacea fruiting season generally occurs 2 months before Annona crassiflora, so it is a way to have similar fruits in 'extended harvest'. One advantage of coriacea is that it germinates much easier than crassiflora (less than 60 days). In Brazil this species occurs in a larger land extension, so it seems to adapt better to different climates. Seeds will be available around 20-february. Unfortunately I have bad news to share with you. Prices for parcel shipments from Brazil to abroad have risen in price today . The last increase occurred in July 2015 and the value remained constant during this period (R$ 83, around usd30). Today the value has risen to R$122 (usd43). It is important to note that Paypal takes 12% in this transaction (money transfer fee + currency conversion fee), already considered in these values. Fresh seeds available now. Not many, so don't waste time.